The custom of giving foals names starting with the same letter as their dams is standard practice in Germany. But other breeders outside Germany have long adopted the same naming policy, including the Wildensteins. 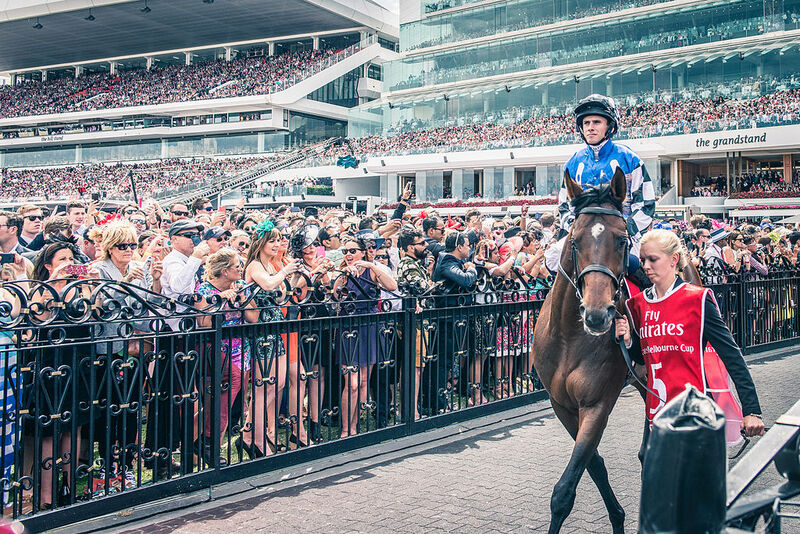 There was thus a seamless link from last month’s Melbourne Cup winner Protectionist, a triumph for his German trainer, German sire and German owner-breeder, to his female family developed by the Wildenstein breeding operation which has yielded stars such as Pawneese and Peintre Celebre. Protectionist is the result of a breeding formula which had already worked successfully for his breeder Dr Christoph Berglar. Back in 2002, he had bought the Wildenstein mare Private Life, a listed-placed winner by Bering, at the Newmarket December Sales for 225,000 guineas. Bred to Monsun, Private Life produced the colt Persian Storm who, in the colours of Baron von Ullmann (who had bought him for €300,000 as a yearling at Baden-Baden), won a couple of Group 3 contests, the Bavarian Classic at Munich and the Furstenberg-Rennen at Baden-Baden, and also dead-heated for sixth in the German Derby. Five years later, Patineuse, a daughter of Private Life’s half-sister Parisienne, was sent to the same sale. Once again, Dr Berglar was the successful bidder, though had to go to only 40,000 guineas this time to secure the unraced three-year-old filly. Having first visited Monsun’s son Manduro, which resulted in the four-time winner Primatist, Patineuse went to Monsun himself in 2009 with the future Melbourne Cup winner being the result. She is reportedly to visit Dr Berglar’s 2013 King George VI & Queen Elizabeth Stakes winner Novellist (also by Monsun – clearly a lucky sire for the owner) in 2015. Like Patineuse herself, her sire Peintre Celebre is a member of the same P family and its best product, successful in the Prix du Jockey Club and Grand Prix de Paris on the way to setting a new record time in the Prix de L’Arc de Triomphe. As well as siring Protectionist’s dam, the recently pensioned Peintre Celebre was also responsible for the dam of Red Cadeaux who was runner-up in the Melbourne Cup for the third time. Patineuse and her sire trace back to a common ancestor in Plencia, who is Patineuse’s fourth dam and Peintre Celebre’s third. Plencia secured her place as a pivotal mare in the Wildenstein breeding operation by becoming the dam of the top-class filly Pawneese who, in 1976, completed the rare double of the English and French Oaks just nine days apart, before becoming just the fourth filly to win Ascot’s King George VI & Queen Elizabeth Stakes. Pawneese produced five winners, none of them anywhere near as good as herself, but they included Poughkeepsie (by Sadler’s Wells), who, although about to turn 23 in 2015, remains active in the Wildenstein broodmare band to this day. Poughkeepsie is the dam and grandam respectively of Dr Berglar’s Newmarket purchases Private Life and Patineuse. A dozen members of the current Wildenstein broodmare band descend from Plencia through one of just two daughters, either Pawneese herself, or her half-sister Petroleuse who won the Princess Elizabeth Stakes at Epsom and has since become the grandam of Peintre Celebre. Of those dozen broodmares, no fewer than eight are great granddaughters of Plencia. As a non-commercial breeding operation, which has bred a successful sire emanating from a prolific family which has provided its owners with plenty of broodmares, the Wildensteins have been able to experiment with some interesting inbreeding involving the P clan. Patineuse may have left the fold now, but the double occurrence of Plencia in her pedigree is also found in a couple of current Wildenstein broodmares, the full sisters Parade Militaire and Pirogue Bleue. These two are by Peintre Celebre out of Poughkeepsie, making them inbred 3×3 to Plencia. An even closer inbreeding from the family involves another two mares, Pepper Berry and Point Blank. This Peintre Celebre pair are granddaughters (out of different mares) of Palmeraie, a half-sister to Peintre Celebre’s own dam Peinture Bleue, making them inbred to Petroleuse 2×3. But back to the Melbourne Cup winner’s dam Patineuse because Plencia’s is not the only the name in her pedigree to crop up twice. With Peintre Celebre by Nureyev and her grandam Poughkeepsie by Nureyev’s three-parts brother Sadler’s Wells, there’s a duplication of their sire Northern Dancer and Nureyev’s dam/Sadler’s Wells’ grandam Special. Another sire with a double presence is Habitat. As well as being the sire of Petroleuse, Peintre Celebre’s grandam, he also appears as the grandsire of Patineuse’s dam Parisienne through his son Distant Relative.